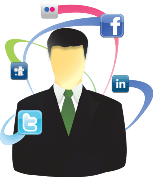 Having a digital marketing strategy is vital for your business: it shows you have a clear indication of where you see your business, it also indicates ways you can improve its social online presence. Having a digital marketing strategy can soon have a positive effect on your business. A digital marketing strategy helps you strategize where exactly your business can feature. It can also assist you to improve your online presence and generate more traffic to your website. You can create unique content for your brand as well as increase your social media presence in the interim. Because more people are inclined to use the internet, a digital marketing strategy can benefit you and your business: it allows out-of-the-box creative thinking and it enables you to create an interactive platform for your business and its customers. This will build a solid foundation of trust and a firm relationship between you and your customers. To start your digital marketing strategy you need to analyze different methods: you need to investigate different options and look at your audience’s demographics and ways you can shape it. Explore how different businesses use their website and analyze how you can use yours. You can include an email and online marketing strategy. Or alternatively, outsource your digital marketing to a company such as WSI. For information on digital marketing and web design, contact us today.